Hi everyone and welcome to the Summer Block Blog Party sponsored by At The Picket Fence! The link to join the party is at the bottom of this post. I look forward to seeing your Summer entertaining ideas. I had planned to have my party on the deck today but with the temperature at 94 degrees I thought we would all be more comfortable inside. I have the air conditioner turned down low, that’s Jimmy Buffet playing in the background and the food is almost ready. 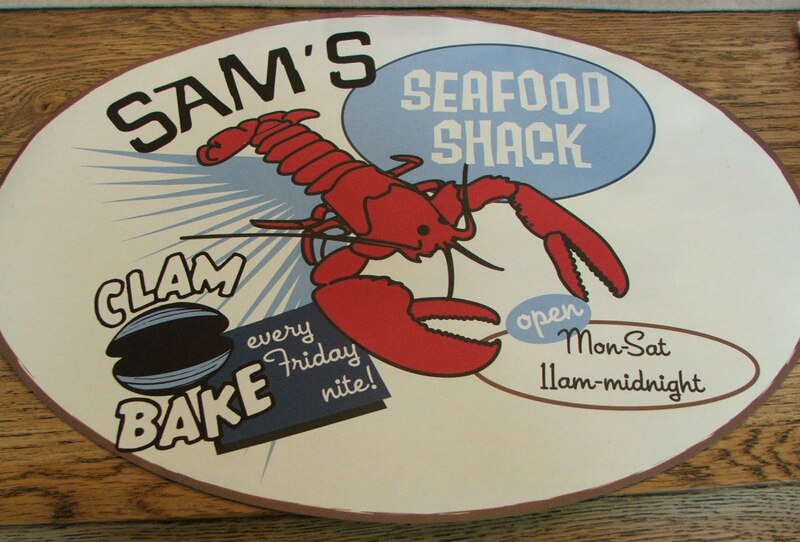 I found these cute lobster place mats a couple of years ago in Destin, Fl and I thought they would be great to use today. 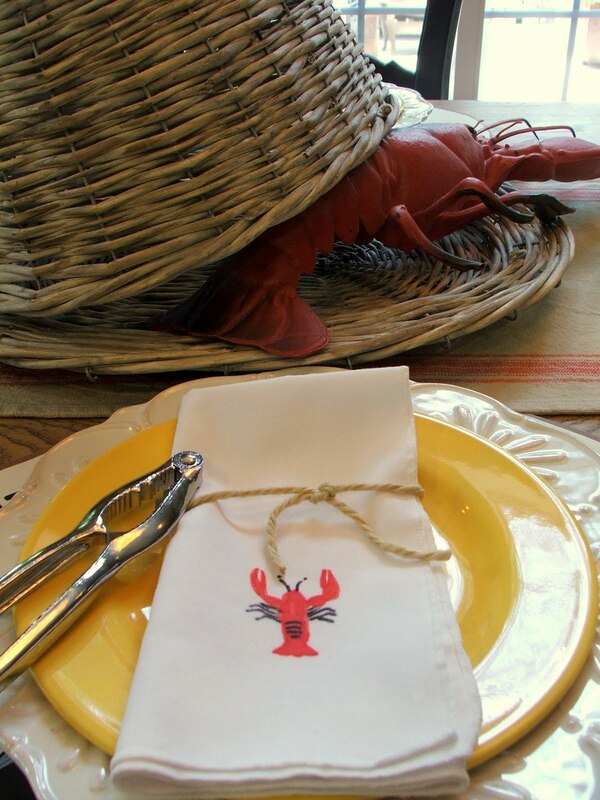 I didn’t have lobster themed napkins so I painted my own with a fabric pen. I also made the little place cards and added them to glass ball holders that remind me of fishing floats. I’ll be having a Virgin Mary if you would like to join me. For those of you that like beer we have some chilling in the bucket. 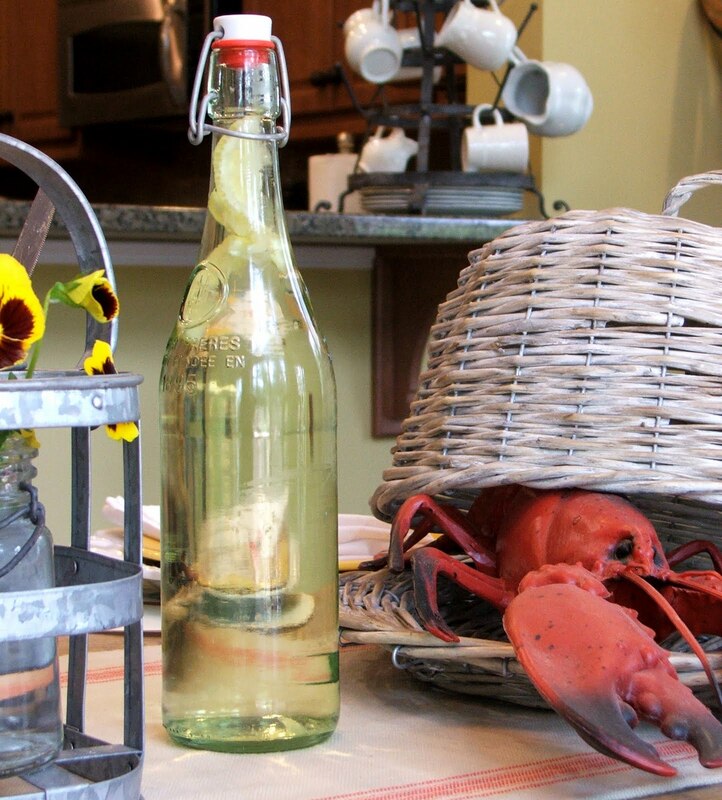 Herman (the lobster) has been through a lot with us…including surviving two hurricanes! I couldn’t leave him at the beach when we moved so now he resides in my pantry. Even though I don’t have the heart to cook Herman (plus he would be a little rubbery) I have made something yummy for you. 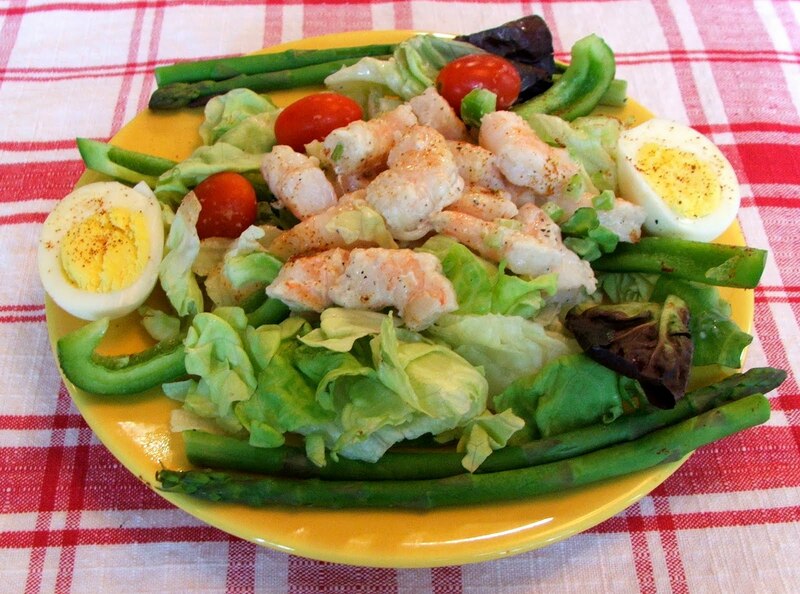 Shrimp Salad – perfect dinner for those hot days of Summer. 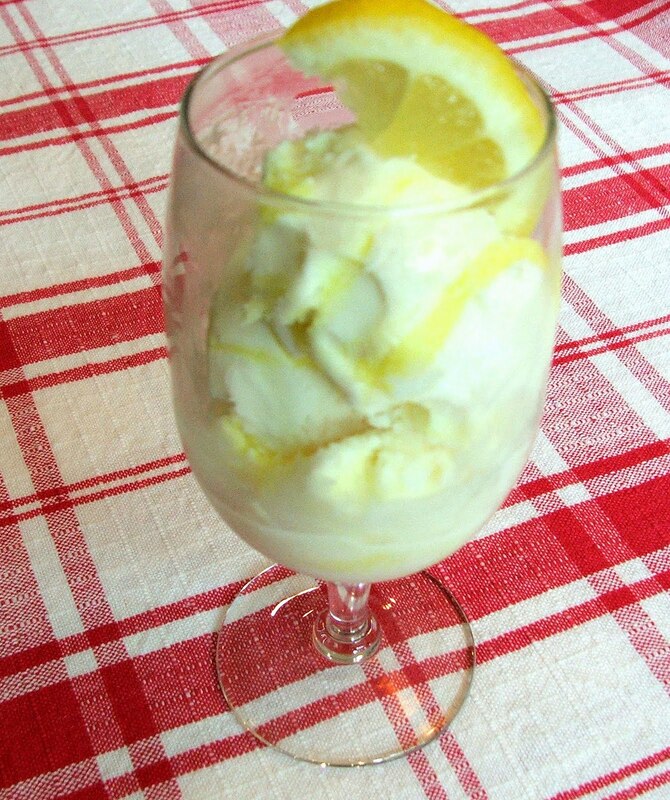 The only thing better would be homemade lemon ice cream. I’ll be back later with recipes. Link up your Summer Entertaining post(s) below and your links will appear on all twelve blogs that are hosting the party as their posts go public! That means your posts will appear simultaneously on all of our blogs once you have linked them up here and will be there throughout the party! 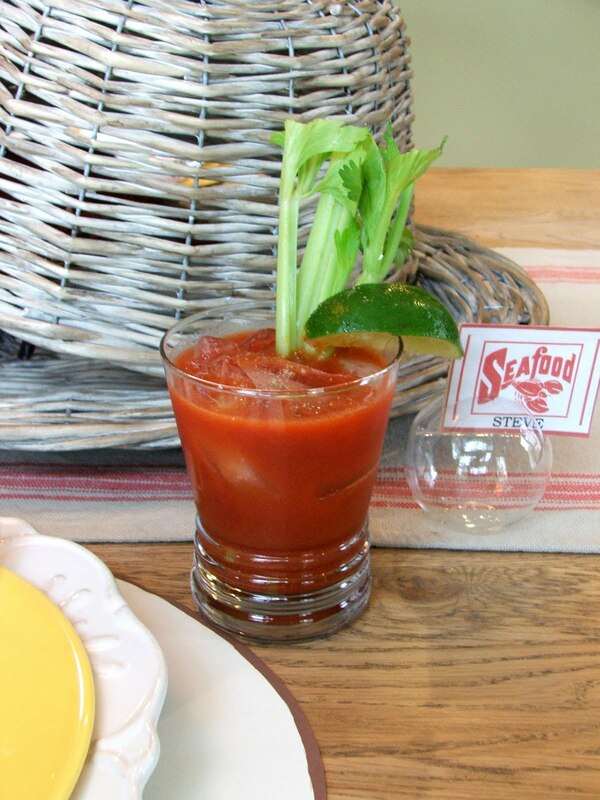 You are welcome to share as many posts as you like related to Summer Entertaining below. There are 13 Giveaways going on with the Blog Party. Winners will be selected from all those that link to the party. Please join the ladies above to participate in their parties and enter their giveaways. My GIVEAWAY is for this fabulous French Script pillow donated by Gathered Comforts. I hope you will visit their Etsy shop to see all the wonderful pillows they have for sale. Thank you to all the sponsors that donated items for the party. Please post the Blogger Block Party button (code located above and in sidebar) in your post so others can join in in the fun! (Mandatory). We love it when you party with our other guests! Please take a moment and visit some of the other posts and leave some comment love! This is what makes a party so much fun! That’s it…so get to linking up and partying with us at the Blogger Block Party!! Go all the way to the bottom of the post to link up. Cute table setting, Sherry. Love your Herman lobster. Love the beer in the bucket. Hi Sherry! This party just has been so much fun. I found an old post with some outdoor entertainment settings. Sherry, thank you so much for hosting on the Summer Blog Party, its so much fun to see what everyone is up to. 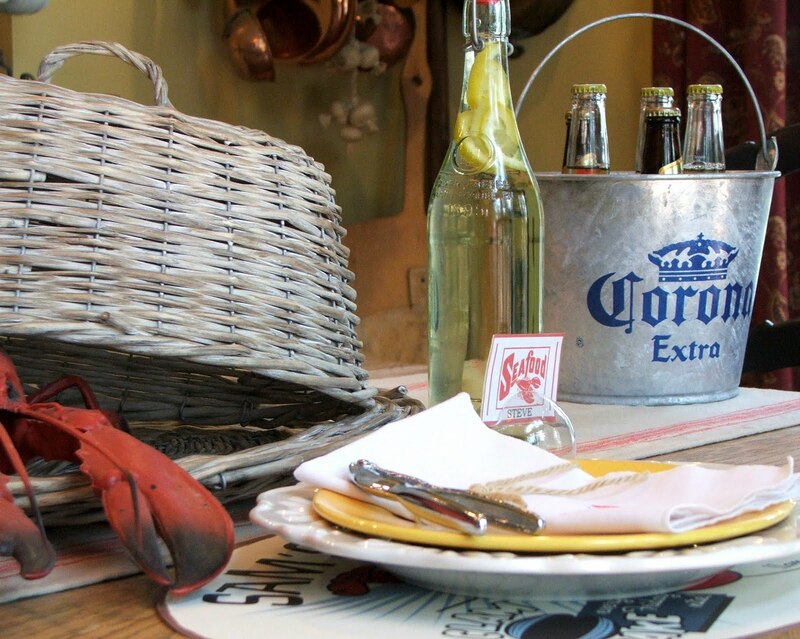 Your table looks just like I would imagine summer on the shore. I had fun playing along! Thanks for hosting. P.S. I keep forgetting to tell you how much I like your new profile pic. 🙂 Beautiful! I love your post! It looks like a FUN party! Thanks for hosting the Block/Blog party. Lots of fun. A perfect summer tablescape! I can't believe you painted your own napkins…you did an excellent job on them. Your salad looks delicious & don't even get me started on that ice cream…yum! Hi Sherry!! What an absolutely charming table! 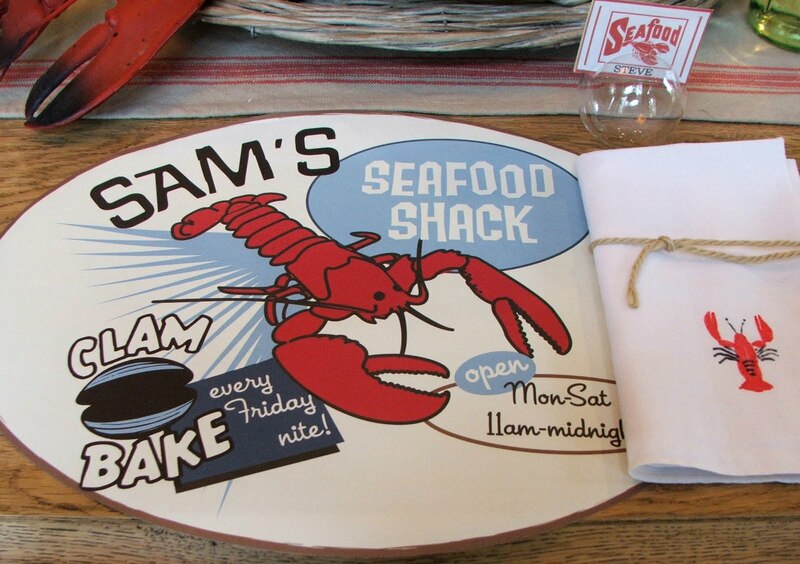 I love your place mats and the charming lobster touches! Looks like lots of fun! Thanks for hosting! Sherry, those placemats are just too cute! 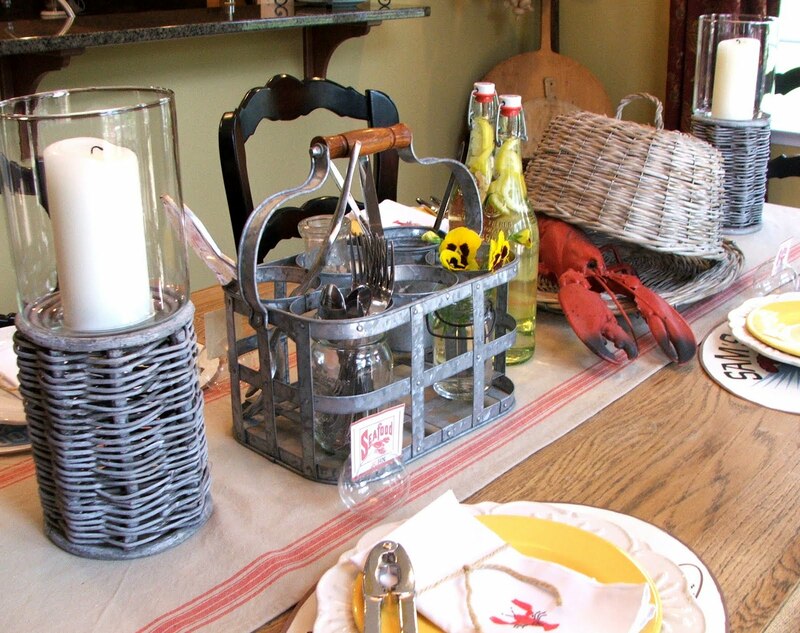 Love the whole lobster themed table and I really LOVE that you painted the napkins to match! What a fun lobster table! Those are cute placemats and clever napkins. Are we exhausted from this mega party yet? Thanks for hosting some of the fun, Sherry! So nice to meet you Sherry. I am now your latest follower. I am Judy/DIYbyDesign and one of the co-hosts along with you of this fabulous blog block party. I don't know how I haven't met you before but any friend of Vanessa and Heather's is a friend of mine. Hope you stop by and say hi. WOw, Sherry what a party this is, oh the food you're serving looks absolutely wonderful!! That homemade lemon ice cream about jumped off the page. PS: I think she is guilty too! 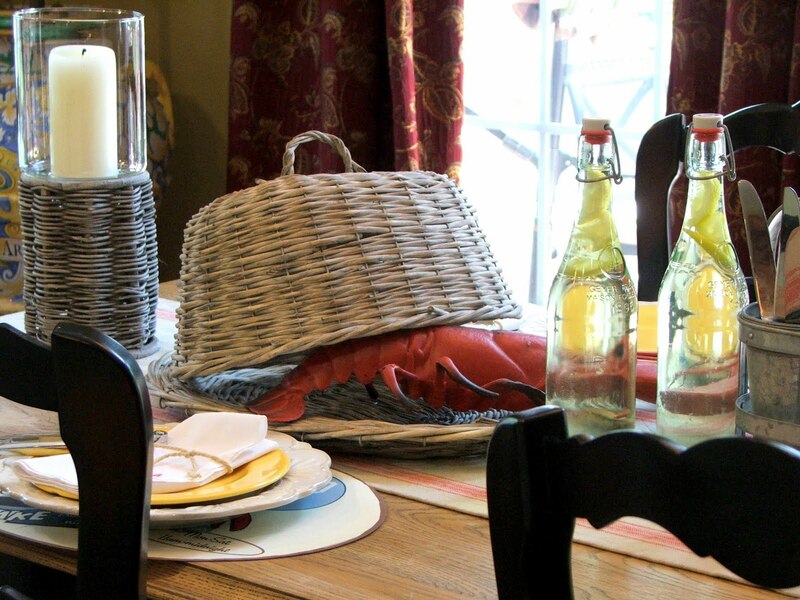 Ah, the joys of summer: lots of seafood spread across the table. I just found your blog! I love it, you have such great style. 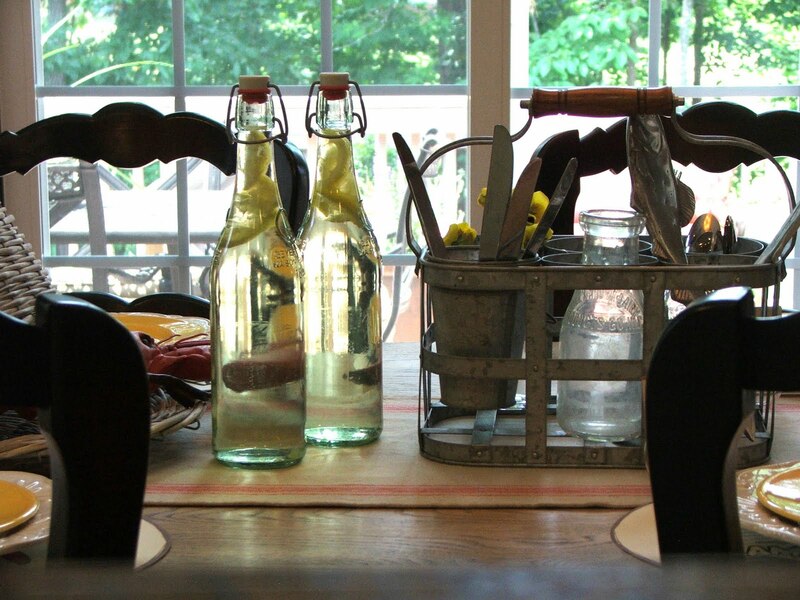 That's a perfect summer tablescape Sherry!! That lobster is adorable! I love what you did napkins, very cute. I also love the beer bucket. Thanks for having us. Your tablescape is so wonderful. I love this idea. Thank you so much for hosting this wonderful party! Sherry!! Every ounce of this is fabulous! I adore the napkins you painted, the food looks delicious and Herman…oh my! I think he might be my favorite. lol You outdid yourself! 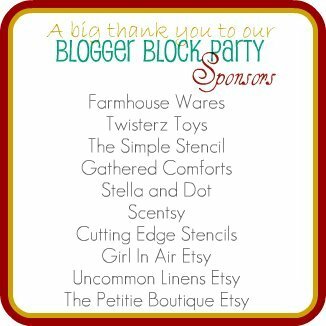 Thanks for co-hosting the Blogger Block Party! Love ya! P.S. I had meant to tell you as well…LOVE your new profile picture.. gorgeous! It's all just so inviting. The napkins are so cute. Of course, now I'm so hungry for lemon ice cream! Thanks for a wonderful party! 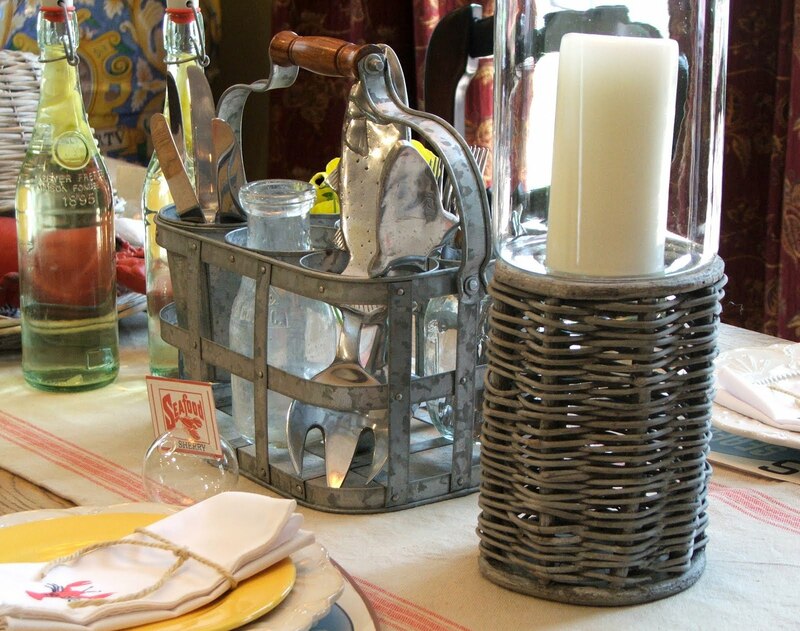 What a delightful table setting – it is so cute and inventive. That shrimp salad looks yummy and I can't wait to get the recipe. Your table looks great! Thanks for hosting the block party. Your tablescape reminds me of Boston! One of my favorite places to go shop and eat. Salad and some lemonade and especially the lemon ice cream is best for serving in any occasions. Your tablescape is so wonderful.